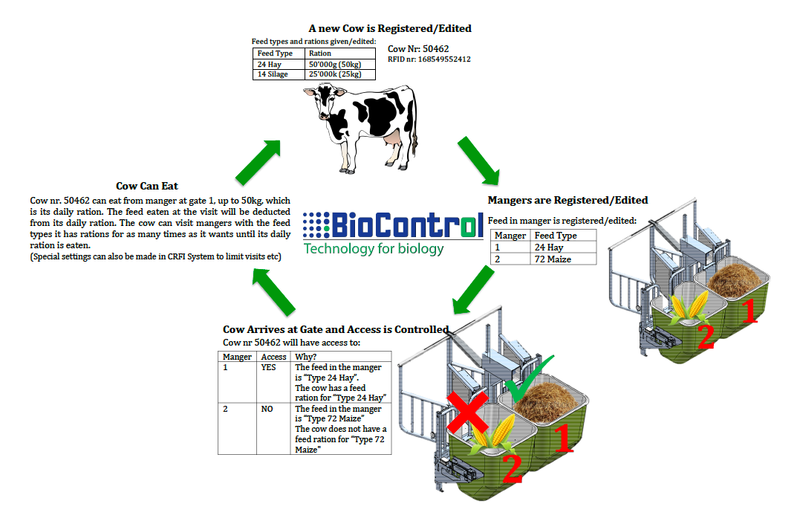 BioControl’s CRFI is designed for research centers and the demanding dairy and beef farms that want optimal control and insight in animal feed intake. 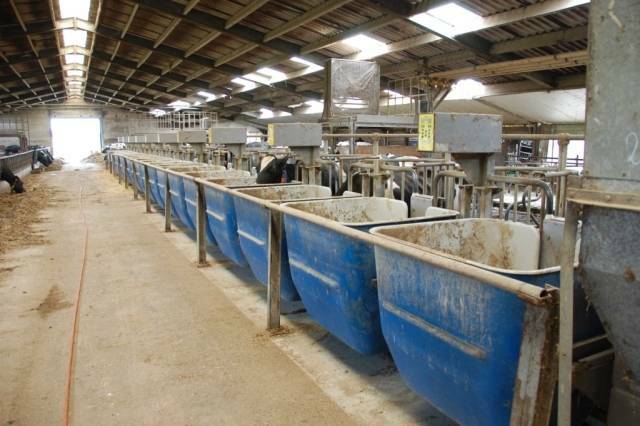 The system is very versatile and can be extended with recording of animal weight and water intake. 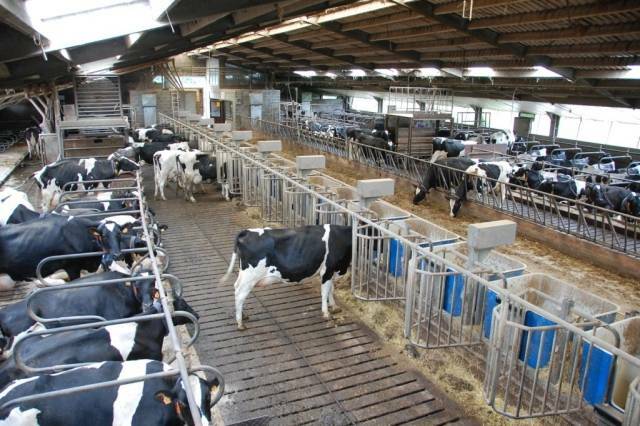 Modules of the CRFI-system can also be implemented: only access control gates or only mangers for feed intake recording. 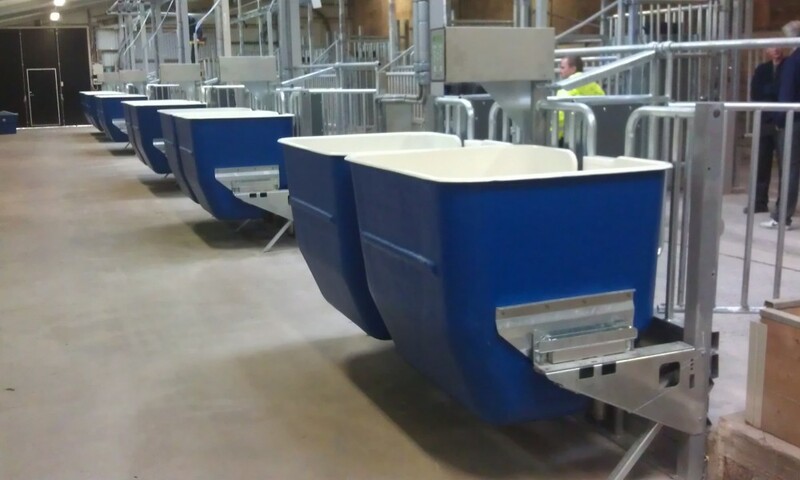 CRFI gives individual cows access to specified mangers that are placed on weighing cells. The purpose is to record individual feed intake, e.g. 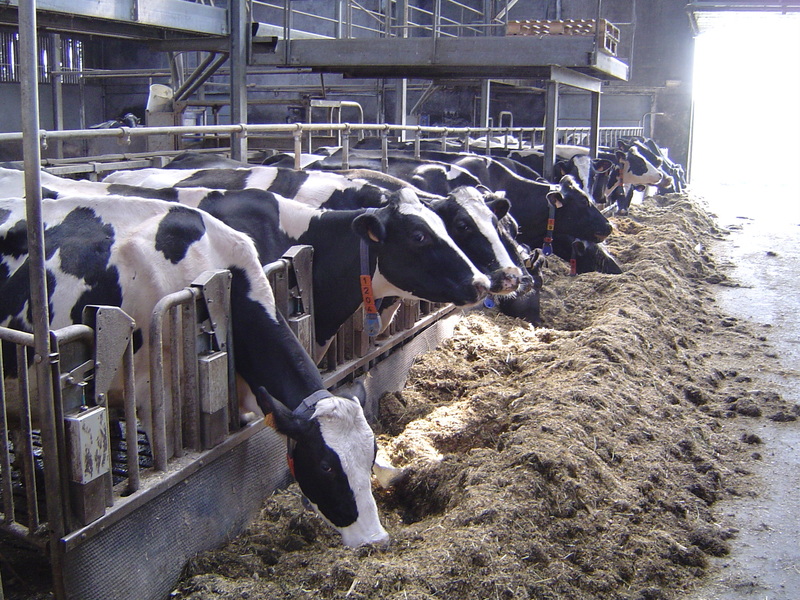 to evaluate feed conversion ratio. 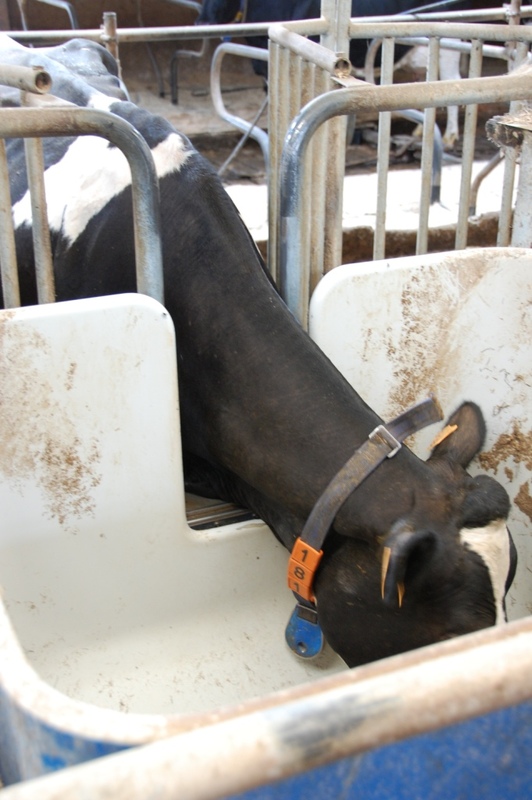 Cows are identified by means of neck transponders or ear tags. If the cow is allowed access to a specific manger the gate goes down. 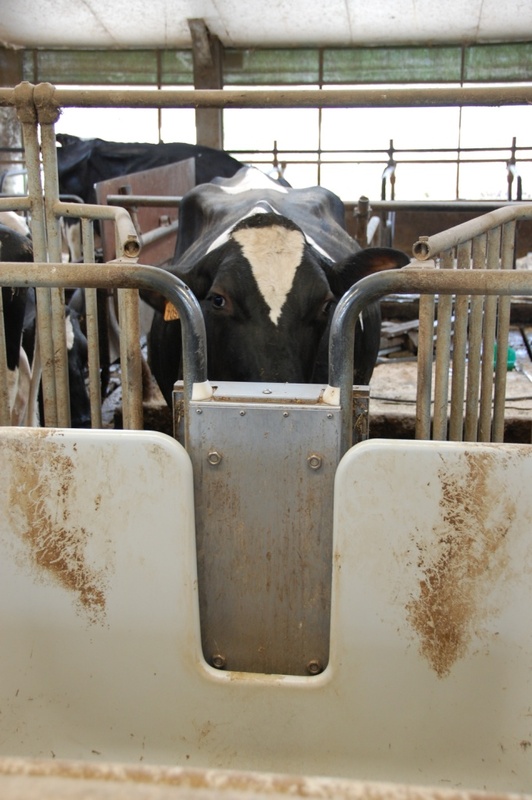 When the allowed access time for that period is up, the access gate goes up to push the cow away from the manger so that another cow can get to the gate. The weight of the manger is measured before and after cow access and the weight difference is transferred to the central computer for analysis. 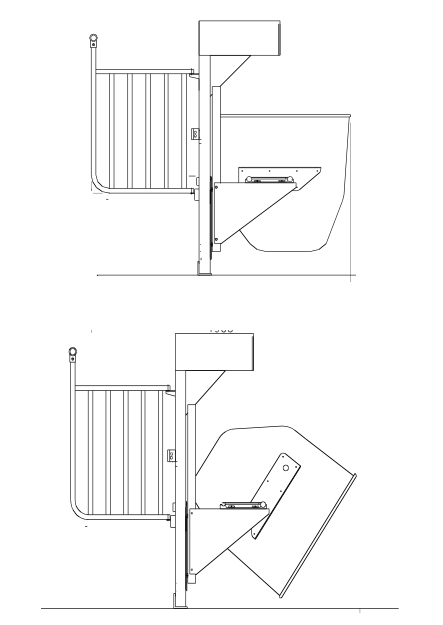 CRFI can be supplied with different manger sizes: 100 cm and 120 cm wide. 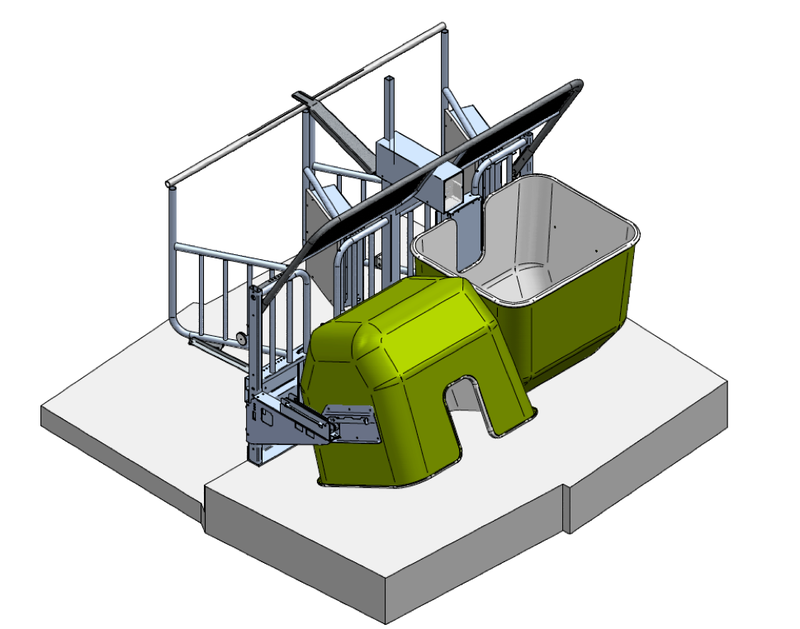 The manger is placed on a frame and rests on two electronic load cells. By turning the manger it is easy to empty and clean it. 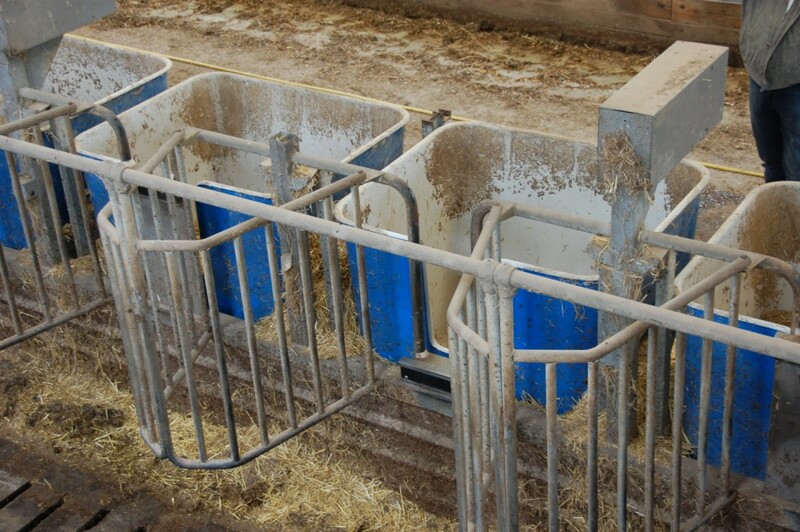 To prevent a cow from driving out another from the station and stealing a part of the ration, the stations are divided by metal races, or stall dividers that are available for two stall breadths and dimensions. The complete system for monitoring and controlling the Roughage Feed Intake is also available in a version without the access gate. 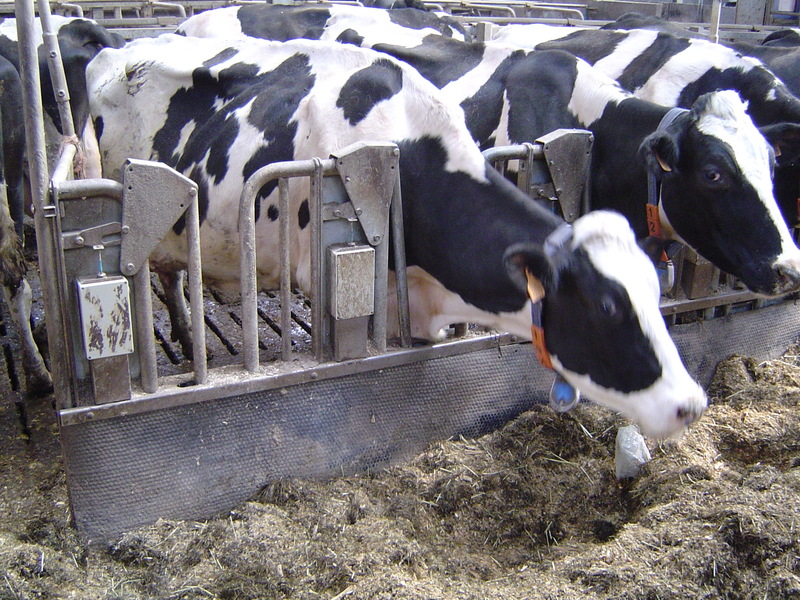 The intake is registered, but it is not possible to control the amount of consumed feed or the pattern of access to feed. 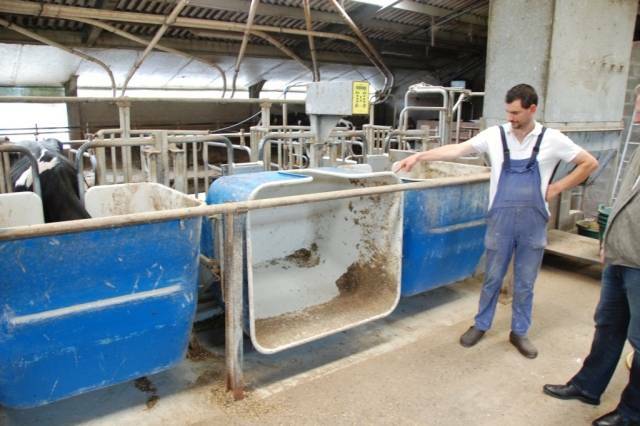 It is also possible to add a cow scale to be placed in the concentrate feed station. The weight data are then also recorded in the central processor. We also offer a lid on the manger to prevent spilling of feed. Additionally, CRFI can be adapted for use in calf practices. Mangers on weighing cells without access gates to measures feed intake (roughage, TMR) of individual cows to assess feed conversion ratio’s. BioControl’s PC Program for the CRFI system is easy to use and easy to extract data with. 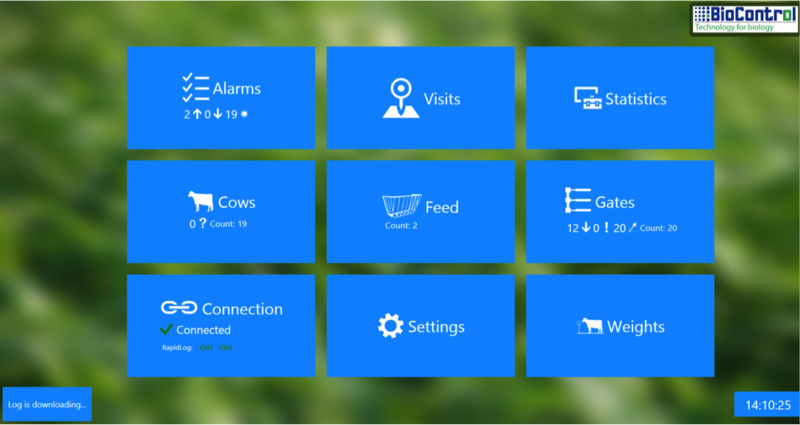 With the different menus it is possible to register what feed is in the different mangers, which cows are in the system, and to give rations to the cows for different feed types. The system will automatically close the gate when the cow has reached it’s ration. The system also has several alarms, which detect if cows have eaten too much or too little, or if mangers needs to be re-filled or re-calibrated. The PC Program is available in different languages, and can easily be translated into new languages such that it is easy to use on the farm. All log files are stored as data files on the PC with all logs as rough data. Alternatively the PC Program can be used to find data about specific cows, specific feed types, for specific dates or mangers etc. With the BioControl rapid logs, data for weight in the mangers is continuously recorded to perform in-depth analysis of visits and change in weight during the visit. The PC program can also be connected to Concentrate Feeders, Scales and Water Intake Recording System to have all data recorded in the same logs and edited in one PC program. Do you have any specific needs? We often cooperate with research centres, universities, organisations or private companies to customise our equipment to fit their needs. We are interested to hear about your project and your needs. Do you want to join our Newsletter for CRFI? Please click on the link below to join our CRFI Newsletter.